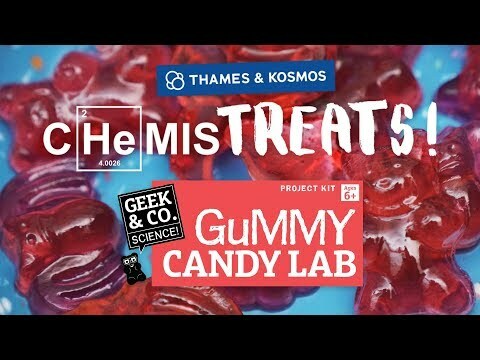 Make yummy gummy treats and learn about the scientific properties of the natural, seaweed-based material they are made from. This Geek & Co. Science lab contains everything you need to create delicious lemon or cherry gummy treats while you learn about the science of gel materials. Turn your kitchen into your gummy lab with simple household equipment and create mouth-watering gummies in six different shapes using the included mold. Coat your gummies in the sour mixture for more adventurous palettes, then bag and label them with the included materials for that finishing touch. Sweet science meets sweet fun!